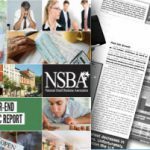 The National Small Business Association (NSBA) today released its 2012 Year-End Economic Report, a snapshot of how small businesses are faring today. The result: small-business owners are feeling less optimistic about the outlook of their own firms and the overall U.S. economy than they did this time last year. Reducing the national deficit is the number one thing small businesses want Congress to do. The Year-End Survey was conducted at the height of the messy fiscal cliff debate, likely causing lower optimism and confidence among respondents than typical this time of year. Celebrating more than 75 years in operation, NSBA is a staunchly nonpartisan organization advocating on behalf of America’s entrepreneurs. NSBA’s 65,000 members represent every state and every industry in the U.S., and we are proud to be the nation’s first small-business advocacy organization. Please visit www.nsba.biz or @NSBAAdvocate.